When it comes to marine welding in Fort Lauderdale, choosing the right company for your job is of utmost importance. Marine welding is a highly specialized field – and if you don’t partner with the right company, you could be putting the integrity of your boat at risk. But how can you know that you’re choosing the right marine welding company? With this guide from K&G Marine, it’s easy! Follow these simple tips to make sure that you’re getting great service, and partnering with a professional, experienced marine welding company. First things first – you should never trust a non-specialized welder for your marine welding project. While there are quite a few transferable skills between standard, on-shore welding and marine welding, you just won’t get the best results. Only a marine welder is fully equipped to handle your project. By selecting the proper welding material and using the right techniques, a marine welder will ensure that your project is performed to the most rigorous standards. Word-of-mouth is still one of the best ways you can get insights into a specific marine welding company. Take a look at Google reviews, and other past reviews and referrals on the website of your prospective welding company. If you can’t find enough information, consider asking local yacht and boating clubs about companies they have worked with in the past, and whether or not they were satisfied with the results of their project. This is a sure-fire way to find a reliable company. You can ask for estimates and documentation from a welding company’s past projects. This will help you get an idea of their quality of work, and how much they charge for each project. You can also ask for any photographs they may have had of the process. Most companies have a portfolio of the past work on their website, so it’s usually quite easy to find what you’re looking for. Naturally, you will want to ensure that only licensed marine welders are working on your boat. 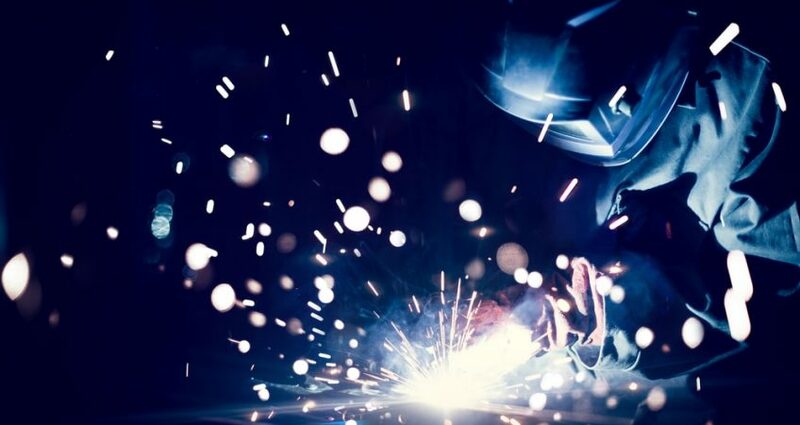 You should also make sure that your prospective welding partners are bonded and insured, so that you will not be held liable if your boat is damaged, or if an accident occurs on the job. This is a great way to determine if you’re paying the proper price for your marine welding project. You can give the basics about your project to multiple welding companies, and shop around for a reasonable price. Of course, marine welding is a specialized profession – so don’t expect your project to be cheap. Still, if you shop around, you can save a bit of money, and make sure that you’re paying a reasonable rate. Follow Our Tips – Choose The Right Marine Welding Company! Your yacht is an investment – and you want to make sure that it’s taken care of properly. So follow these tips, and find the best marine welding service provider for your needs. Don’t know where to start? K&G Marine specializes in marine welding for yachts, boats, and fishing vessels of all kinds. We have a team of experienced fabricators, engineers, and welders who will deliver fantastic results. Contact us now to learn more about what we do, and get started today!